2017 is shaping out to be pretty darn hectic. I'll attempt to do my best at keeping shameless self-promotion to a tolerable minimum. But this week's a big one. 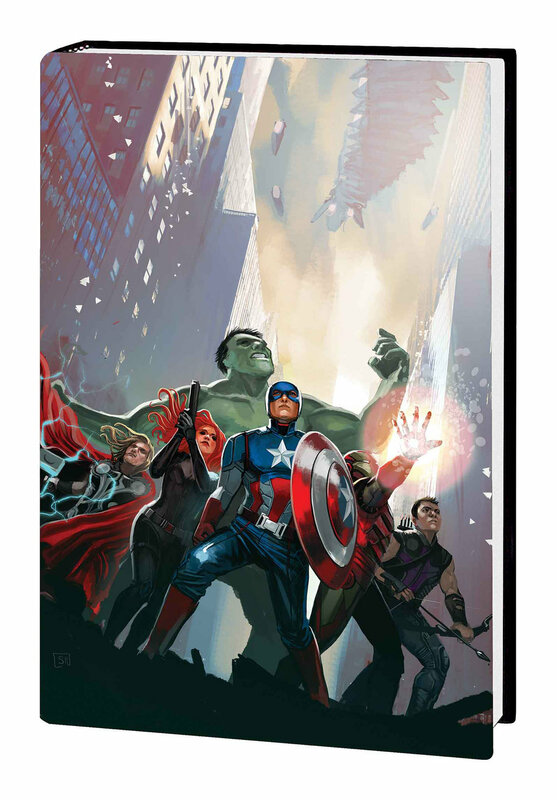 The first collected volume of the Marvel Cinematic Universe Guidebook is out today. Additionally, a feature film I co-produced called Citizen Jane: Battle for the City hits theaters and on-demand this Friday. Talk about two different projects releasing in the same week... but hold onto that thought, we'll come back to that. They might be more connected than you think. Let's start with the Marvel Cinematic Universe Guidebook. My part in the book was small, but I was honored to be a contributor to the original monthly releases and can't wait to have this 192-page collection sitting on the shelf. The first hardcover volume collects the encyclopedic entries for the original Iron Man film through Thor: The Dark World. The famed OHOTMU (Official Handbook of the Marvel Universe) team was incredibly gracious and kind to let this newbie tag along, and I learned so much working with them. I can't recommend this book enough to both die-hard and casual fans alike. It'll be available starting today in local brick and mortar stores, Barnes and Noble (and on Nook! ), and of course via Amazon (and on Kindle!). Volume 2 won't be far behind, with a December 2017 release date and pre-orders already available. Next up, Citizen Jane: Battle for the City. About two years ago, I jumped onto good friend Corey Reeser's staff at Altimeter Films to help he and Matt Tyrnauer wrap up several projects. The first feature film release of those projects is Citizen Jane. This is a documentary that focuses on urban planning and a question of how a city should grow and function. It explores that question through the two very different viewpoints of Jane Jacobs and Robert Moses. It's a fascinating subject and the film gives a great primer to the uninitiated (like me). 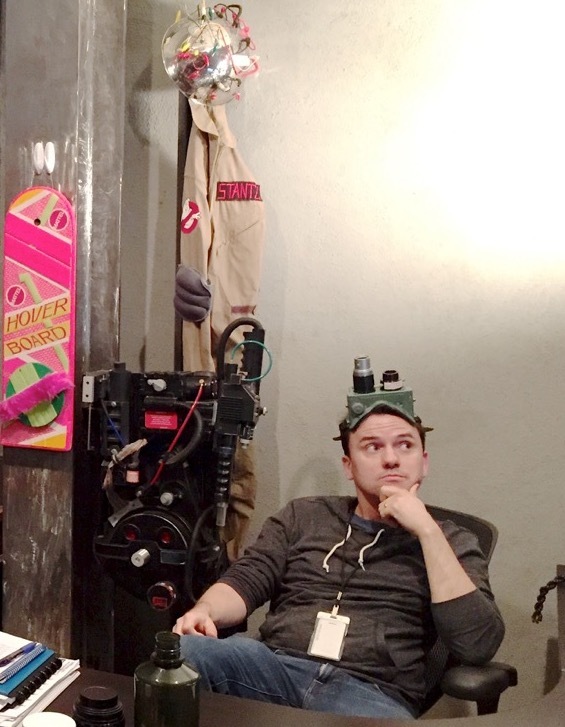 I've been proud to be a part of the post-production process. It was incredibly challenging to see the film through finishing, mix and delivery, and I've also been part of the social media team. A theatrical run starts April 21st, and the film is also available via on-demand through IFC Films. For more information, check out the Altimeter Films website here. You might be thinking, "Troy, that's very cool but why are you lumping these two things into one post?" The answer could be chalked up to sheer laziness. Or the fact I'm on a deadline and pressed for spare time. But check this out - - I'm about to blow your mind. Granted, I've since learned that I'm not the only one who has noticed this connection. But just the same, I'll explore it. Ready? I bet I can connect our documentary film about Jane Jacobs and Robert Moses' battle over city planning to the Marvel Cinematic Universe. In the first season of the Netflix Daredevil series, Wilson Fisk (played by Vincent D'Onofrio) looks to rebuild the neighborhood he loves in the image of his choosing. Hell's Kitchen, where he grew up, has been overtaken by crime, slums, and affordable housing. Which makes it a desirable locale for two lawyers on their own who do a lot of work pro-bono for those in need like Matt Murdock and Foggy Nelson. But Fisk would love for the grime to be torn down and replaced by shiny and more modern, high-income yielding property. Fisk believes what he's doing to be just, even though his methods and underground connections are highly questionable. In one of the most terrifying moments of the first season, Fisk breaks into the home of reporter Ben Urich. He attempts to explain himself to Urich, pleading that he's not the bad guy. He just wants what's best for the city that he loves. As he sits ominously in the darkness, the production has very explicitly chosen to highlight a crucial part of set decoration over his shoulder: the seminal biography on Robert Moses, The Power Broker. The speech he gives to Urich could be right out of Moses' own testimonial found within the pages of the biography. In Citizen Jane: Battle for the City - Robert Moses is voiced by none other than the great Vincent D'Onofrio himself. For a much more thorough examination, the New Republic wrote a great article at the time of the production that I've since discovered. The author also goes so far as to compare Jane Jacobs to Daredevil. I won't cover that ground, as it might retread on my prior examination that Jane Jacobs is a bit like RoboCop. The New Republic article is a fascinating read that I highly recommend, especially after you view the new documentary as a primer. So there you have it. Two seemingly unrelated thoughts melded into one. What's next to shamelessly plug? In September, Agents of S.H.I.E.L.D. fans will be able to get their hands on the fourth installment of the Declassified series. October is going to see the release of a fun book that I can't quite talk about yet (but is up for pre-order for those with fine-tuned investigative skills). And December, as mentioned will be the second hardcover collection of the GMCU! And in 2018, I'll attempt to hibernate to recover. Posted on April 18, 2017 by Troy Benjamin and filed under SPT News, Movies, Books and tagged guidebook to the marvel cinematic universe marvel cinematic universe marvel comics citizen jane citizen jane battle for the city.